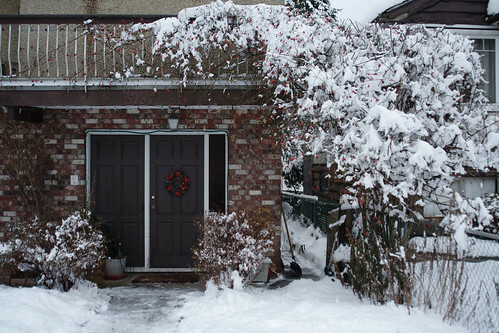 snow, snow and then a little more snow. 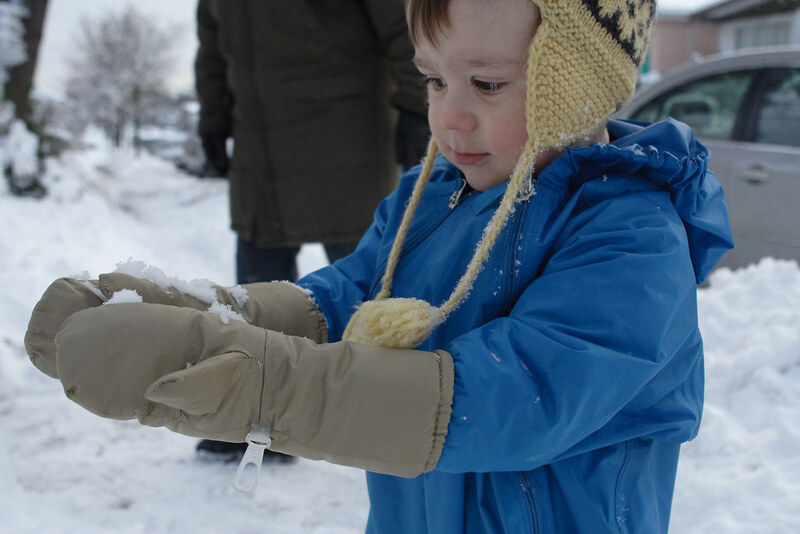 winter boots and long armed mitts adorning little hands as snowballs were thrown and snowbanks toppled. spinach and ricotta cannelloni with garlicky caesar salad and red wine eaten in quiet without interruption as the children slept soundly in their beds, awaiting santa on christmas eve. butter tart squares and mom's shortbread with milky sweet cups of coffee for dessert. 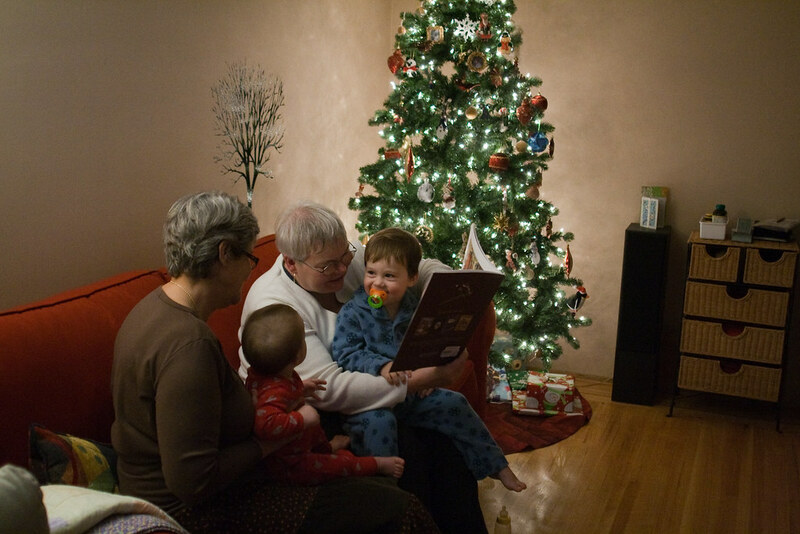 grandma reading cohen's new christmas eve book, alphabeasts, by the light of the tree. eggs benedict with perfectly runny yolks and crispy fried potatoes, glasses of orange juice filled to the brim. cohen opening his gifts one by one as ada napped, his excitement brimming off of him and spilling on everyone around him. 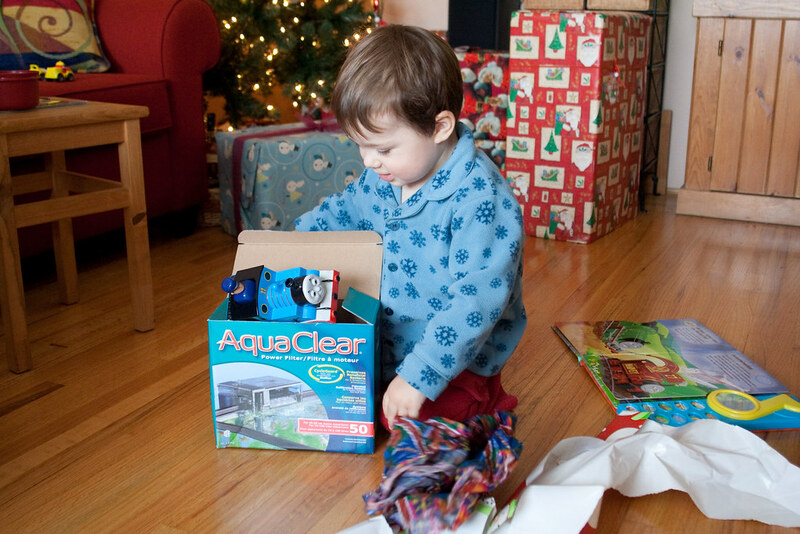 each toy was given plenty of playing time before another package was opened, the process taking all morning and part of the early afternoon despite there only being 9 gifts. ada unsure about paper ripping and box opening, her brow furled as she watched on from a distance. stuffed cow we named jersey (despite the fact that it is a holstein) = ok, stuffed doll with hightop boots and curly hair = no thank you, take that thing away please. juicy roasted ham, scalloped potato's and baconed sprouts with a glass of pinot grigio and the good candle sticks lit in the middle. head hitting the pillow hard after a day spent with the love of family. it was good year, i hope yours was too. as is the custom around here, the slideshow is up. if you are new to this game then there are two warnings: 1. it is 200 mb and may take up to 10 minutes to upload 2. it is just pictures of my family and it will last almost 14 minutes and be set to cheesy music (although this year i didn't give the music a lot of thought and just put the songs that other family suggested, so it isn't as cheesy as years gone by). having said that though, if you have nothing better to do, or happen to be family (or are friends that are like family) then it just might be your thing! it wouldn't be a highlights reel without some photos, and of course by now you know where you can find the rest. I love that blue toy Ada is holding. sounds and looks so lovely - so glad you all had a memorable and merry christmas. 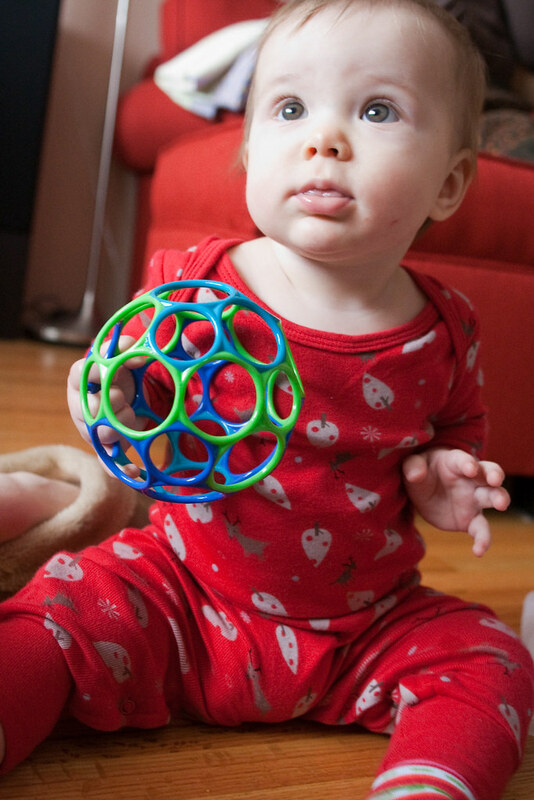 and that blue toy does look awesome! where does one get those long-armed mittens? they are genius! Must tell you once again my dear your annual slide show was a delight to watch..it was awesome! Such great pics of you and the family. To me the music was great too..
Wishing you and yours the very best of happiness and good health for this the new year has begun.